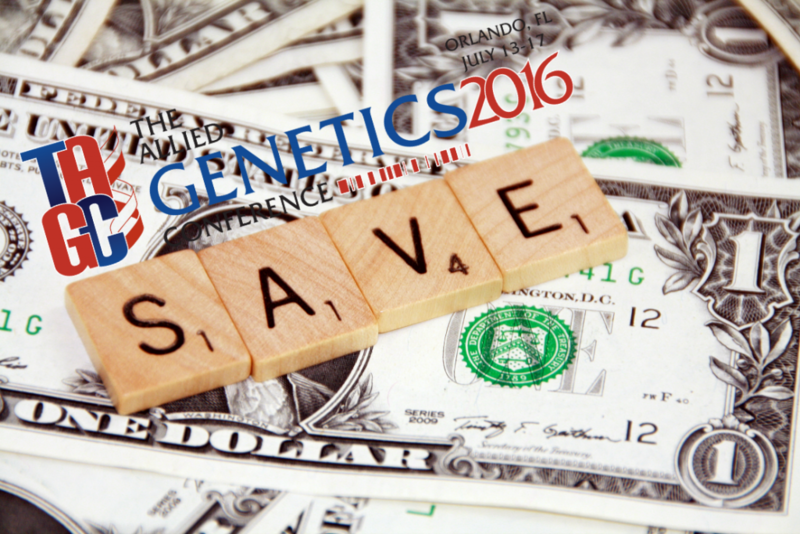 We have heard anecdotal reports that some members of the community are concerned about the cost to attend TAGC, but we wanted to explain how TAGC is less expensive than previous community meetings, especially when you consider the total cost of attending the conference—including registration, travel, and housing. It may be true that the registration fee is slightly higher than it was at the last fly meeting, but it’s actually lower than it was at the last yeast and zebrafish meetings. But the main ways you’ll save is because of travel. Orlando was selected as the conference venue largely because we were able to negotiate very inexpensive room rates, meaning that you can stay in a full-service hotel for rates that are lower than at previous meetings. The Orlando World Center Marriott offers TAGC participants a rate of only $135 per night for single or double occupancy—and $155 for triples and quads. When you factor in the lower tax rate in Orlando, you will spend $100 less per night on lodging than you did at the last Drosophila Research Conference, a savings of over $400 for the duration of the conference. If you’re used to staying in a dorm and bunking up with your fellow students or postdocs, not to worry. You can share a room with two of your fellow scientists at the headquarters hotel and sign up for the full meal plan—all for a total of only $417, including taxes. At the last Yeast Genetics Meeting, that cost you $429. And in addition to saving $12, you’ll be staying in a 4-star hotel with double and king-size beds, air conditioning, cable TV, Internet, swimming pool, and an elevator ride to all the sessions. You’ll also save just getting there: Orlando is one of the least expensive and easiest cities in the country to fly to. The 38 airlines serving Orlando International Airport—including several discount carriers—offer non-stop service to 76 airports in the US and 48 international destinations. And if you’re driving, the parking at the World Center is free for those attending TAGC. Add all that up and you’ll likely be spending a few dollars less to attend TAGC than you did to attend your last community meeting. And you’ll get not only all that you love about your individual meeting, but so much more, including the opportunity to attend sessions across seven different meetings. We look forward to seeing you in Orlando this July! To be sure you get the best rate, book your travel and hotel as soon as possible. The amazing conference rate at the hotel will only be available through June 1 or until the block is full. You can even use the TAGC bulletin board to find a roommate.